These past few years, one of the biggest criticisms Roma has received from ‘football experts’, is that while the Giallorossi are able to produce very seductive play, they lack the cynicism and deadly accuracy which make a team into a European giant. 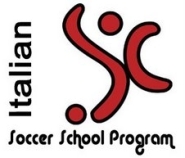 Today, they exhibited the exact opposite trend: dominated by their Real Madrid opponents in scoring chances and in ball possession, Francesco Totti & friends managed to reverse a very early 1-goal deficit (cortesy of Raúl) to go win the game 2-1, thanks to the tallies of David Pizarro and Amantino Mancini. And too bad if their ‘beautiful play’ was missing at the Olimpico tonight, in two weeks Roma will be travelling to Spain with a 2-1 lead, with every intention of earning a ticket to the Quarter-Finals. Let’s just hope that Santiago Bernabéu doesn’t turn into another Old Trafford. Tactically, both managers deviated very little from their usual formations, which coincidentally are very very similar in nature: a one-striker 4-2-3-1 line-up. Luciano Spalletti relied on Francesco Totti up front (despite the injury problems), with Daniele De Rossi and David Pizarro operating behind offensive mids Giuly-Perrotta-Mancini. Panucci and Cassetti were preferred to Tonetto and Cicinho as wing-backs, while the Roma center backline saw the return of Juan, aka Mr. Solid. As for Real Madrid, Bernd Schuster gave full confidence to Cannavaro and Heinze in defense, supported by Sergio Ramos and Miguel Torres on the wings. With the absence of Wesley Sneijder, Los Blancos‘ midfield was occupied by Fernando Gago and Mahamadou Diarra in front of the backline, and Raúl-Guti-Robben behind lone striker Ruud Van Nistelrooy. Two similar formations, two similar playing styles: geared towards offense. 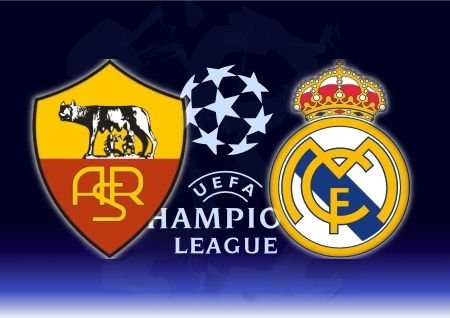 The first half of this match belonged entirely to Real Madrid: dominating play and ball possession, Los Merengues were patiently waiting to be in one-man advantage situations to accelerate suddenly, and send the Giallorossi defense into a spin. Arjen Robben was being absolutely devastating with his speedy runs, ably supported by overlaps of Sergio Ramos and Miguel Torres, while the continued movement of captain Raúl and Van Nistelrooy was providing a constant danger to the Roma goal. To quote Gazzetta, “it seemed as if the length of Roma’s blanket was completely inadequate: in trying to cover one side from the cold, the Giallorossi left the other side completely unprotected”. On top of that, De Rossi and Pizarro were left virtually no space to maneuver the counter-attacks (one of Roma’s best weapons), because the Real Madrid players (Diarra and Gago in particular) were pressing their opponents’ midfield very high up, nipping any counter initiative right in the bud. The mountain climbing started very early for the Giallorossi, who in minute 6 were already trailing by one: pushing deep down the left wing, Robben sent in a cross to the edge of the box for Guti, whose instantaneous left-footed instep found the boot of Raúl. Enough to fool keeper Doni who was diving the other way, 1-0 Real Madrid. Roma attempted a reaction, motivated by pride more than calculated execution. Marco Cassetti tried a long-ranger (saved by Casillas), then it was Perrotta’s turn. No luck. Instead, Real Madrid could have made it two when Robben got away once again (this time on the right wing), and crossed the ball for a completely unmarked Raúl who sent the ball inches wide of the left post. Shivers at the Olimpico. As I often say here however “but raté, but encaissé” (French for ‘missed chance, conceded goal’), an adagio which never fails to repeat itself. With Roma in possession on the left wing, Mancini got rid of his marker to send a hard ball across inside the box. A Gago-Totti clash prevented the Roma captain to connect with the ball, but the Argentine midfielder couldn’t manage to clear the danger. Instead, the ball landed straight to the feet of David Pizarro, who powered a low shot into the bottom right corner on which Casillas could only offer a modest foot deflection. Into his own net that is. 1-1. At the end of the first 45 minutes, a scoreline for which Roma could really be grateful. In the 2nd half, Spalletti’s team tried to turn the tide of play and give the Olimpico faithful their money’s worth. After all, the outside temperature might have been freezing, but the atmosphere at the Olimpico was miles away from being frigid: if anyone deserved a bigger effort from their team tonight it was the Roma supporters. Their heroes understood and pressed forward. Not without suffering still however. Robben was being an absolute thorn in the defense’s backside, and Van Nistelrooy was delighting the Spanish fans with pure bits of class (awesome sombrero to clear Mexès in minute 63, but not enough space to beat Doni). If anyone was going to turn this game to Roma’s advantage, he would have to do it with a stroke of genius. And who better to deliver that genius than “Il Capitano”? With Roma lobbing a high ball forward, Totti controlled the sphere in spectacular fashion, simultaneously getting rid of Gago and creating wide space in front of him. Enough to spot a perfect corridor for Mancini, slipping behind Cannavaro’s back. Casillas tried to close down the angle on the young Brazilian’s path, but failed: Mancini sidestepped the Spanish keeper, and scored an enormously vital to put Roma ahead! 2-1 Roma, in minute 58. With over 30 minutes left at this point, the match became vibrant. Roma had stung Madrid’s pride, who thought it was really unfair they were trailing behind. Los Merengues aggressivelly pushed forward: Sergio Ramos tried a shot from outside the box (wide), Robben slammed a missile on which Doni had considerable trouble (Juan’s last-ditch clearance was vital to prevent Raúl’s tap-in), and Perrotta saved a 25m-cannonball from Diarra (which was heading straight into the top corner). Roma were under pressure, but ready to hit back on counter-attacks. In minute 78 they had a golden chance to do so, but they shockingly wasted a 4 vs. 2 chance when Totti’s one-touch pass to Mancini was too deep. Only two minutes later, Real Madrid hit the post through Van Nistelrooy (exploiting a good service from Royston Drenthe)!! The visiting team had one final chance to tie the game, when a Van Nistelrooy cross was chested back by Raúl for Julio Baptista: shot 2-3 meters above the bar. Close shave for Roma, but the Giallorossi had managed to keep the win safe. Real’s away goal still keeps qualification very much within reach for the Spanish giants, but Roma will be a very tough nut to crack in Madrid. One that now firmly believes it has a chance to make it through to the next round. ROMA (4-2-3-1): Doni – Panucci (67’ Tonetto), Mexès, Juan (75’ Ferrari), Cassetti – De Rossi, D.Pizarro (61’ Aquilani) – Giuly, Perrotta, Mancini – Totti. (bench: Julio Sergio, Cicinho, Taddei, Vucinic). Coach: Spalletti. REAL MADRID (4-2-3-1): Casillas – Sergio Ramos, F.Cannavaro, Heinze, M.Torres – Gago, Diarra (77’ J.Baptista)– Raúl, Guti, Robben (77’ Drenthe) – Van Nilstelrooy. (bench: Dudek, M.Salgado, Balboa, Higuaín, Soldado). Coach: Schuster. This entry was posted on Wednesday, February 20th, 2008 at 2:00 pm	and is filed under Roma, Spanish Liga, UEFA Champions League. You can follow any responses to this entry through the RSS 2.0 feed. Both comments and pings are currently closed. Could Zlatan Ibrahimovic leave the Nerazzurri?